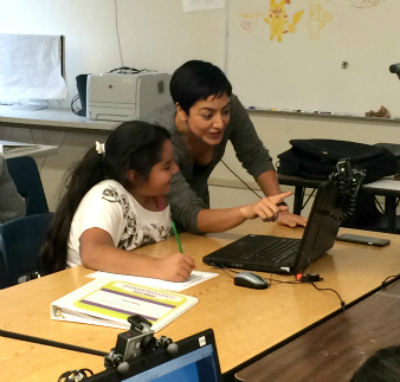 The first Zimmerman scholarship recipient, Yethzéll Díaz, is working for as a research assistant for ETR where she teaches a video game programming class at a middle school. Carson Watts works for TechSoup, a San Francisco startup that partners technology companies with nonprofits that need technical support to tackle social problems. Abuoali “Arash” Mohajerinejad (Oakes, ’14, sociology) is an active community organizer for human rights in Iran and the Middle East. 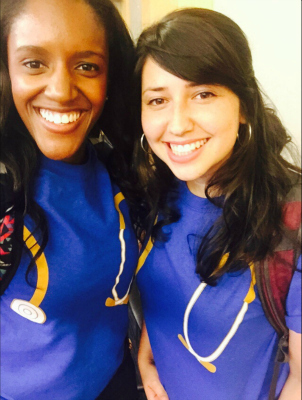 Elisabeth Parra, right, with her classmate Lisa Umeh from the UC Davis School of Medicine’s Postbaccalaureate Program. 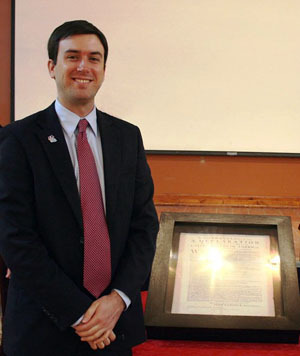 Since 2011, the Gabriel Zimmerman Memorial Scholarship has raised more than $100,000 to help UC Santa Cruz students dedicated to careers in public service. Five awards have been made so far. On January 8, five years will have passed since Zimmerman (Stevenson, ‘02, sociology) was shot and killed while working as community outreach director for U.S. Rep. Gabrielle Giffords (D-Ariz.). Five others died in the shooting rampage in Tucson; 13 were wounded, including Giffords. Moved by Zimmerman’s commitment to public service, two UC Santa Cruz alums, Alex Clemens (Porter, '89, international politics) and Jonathan Klein (Merrill, '89, politics), created a scholarship fund in his honor. Now, Professor Emeritus David E. Kaun, a founding faculty member in economics, has launched a matching challenge to add to the Zimmerman fund. Kaun said he will match up to $20,000 for any increased faculty and staff giving to any UCSC fund, adding the proceeds to the Zimmerman fund. The five Zimmerman scholarship winners to date are pursuing activities in social justice ranging from technology, medicine, and human rights. The most recent recipient is Elisabeth Parra (Merrill, ’15, human biology and community studies) who wants to practice community medicine in Los Angeles, where she is from. Parra is using her scholarship to attend UC Davis School of Medicine’s Postbaccalaureate Program, a one-year program that helps socio-economically disadvantaged students become competitive applicants to medical school. “The Gabe Zimmerman Scholarship is a way to carry on the legacy that Gabe embodied: to work to make the world a better place and to see the potential positive impact on an individual as being worthy of one's time.” Applications for the scholarship are due in early spring. Other recipients include Samantha House (College Ten, ’15, legal studies), Abuoali “Arash” Mohajerinejad (Oakes, ’14, sociology), Carson Watts (Oakes, ’13, sociology and politics), and Yethzéll Díaz (’12, Latin American and Latino studies and sociology). Currently, Díaz is working for ETR (Education, Training, Research) as a member of the Diversity in IT research team. ETR is a nonprofit that advances the work of health, education and social service providers through research, publications, training and programs. “In my work now, the most important way I am making a difference is by building upon the hard work, sacrifices and values of the generations before me in order to ensure that voices from marginalized/underrepresented communities are represented in the work that informs the knowledge-formation process,” Díaz said. Since 2014, Carson Watts, the second Zimmerman Scholarship recipient, works for TechSoup, a San Francisco startup that partners technology companies with nonprofits who need the technical support to tackle social problems. 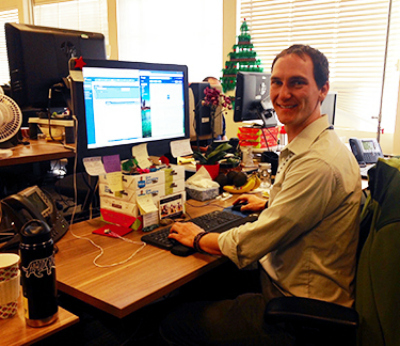 He recently started a new position in the company helping with NGOsource, a program that streamlines the international grantmaking process. 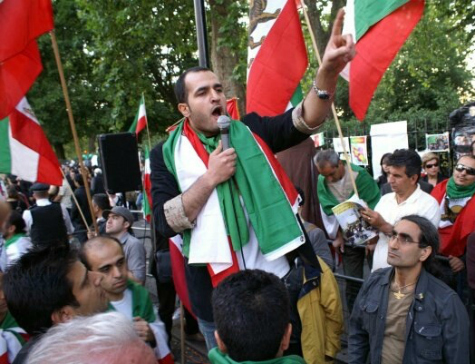 A dedicated human rights advocate, Mohajerinejad was forced to flee his native Iran in 2003 because of his political activism. Facing imprisonment, torture, and even death for his beliefs, Mohajerinejad escaped to London and eventually to the San Francisco bay area and UC Santa Cruz where he completed his undergraduate studies. As a UCSC student, Mohajerinejad was active both on campus and in the community. He volunteered at the San Francisco County Jail, cooked for the Meals on Wheels program, advised students, and formed the Global Nuclear Awareness Coalition, a student organization. Since graduating, Mohajerinejad remains committed to those causes. He is active with his local Lions Club where he helps financially and socially disadvantaged students, fundraises for the homeless, and assists the elderly. In addition, he continues to promote human rights and secular democracy for Iran and the Middle East. He organizes protests across the globe through the International Alliance of Iranian Students and his own peer network. Mohajerinejad is currently applying to law school and hopes to follow Zimmerman’s footsteps and work in local politics. “He inspired me to think differently,” Mohajerinejad says.